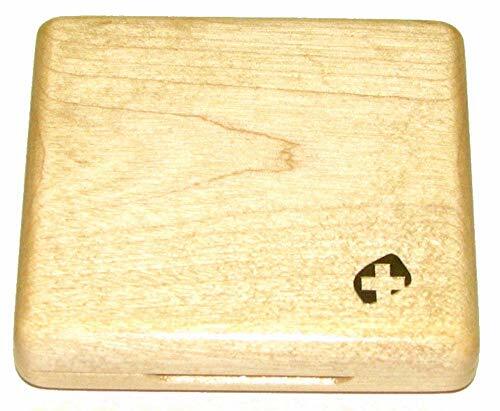 This new reed case is made of maple wood. It is the natural color of wood, or blonde, with a shiny finish. The inside has a capacity for 4 reeds, held in a velvet ribbon style holder. Ventilation holes allow for reeds to dry between uses.